I think in this WI series, Aaron and Yadav are fighting for one position for the Aus tour. We won't take 2 inexperienced bowlers. For Aus I would take: Zak-spearhead Ishant-don't rate him but he can get good bounce on those pitches and by luck get some to straighten (he said he doesn't know how to straigten them and it's luck) PK-When someone takes wickets, bowls with plenty of heart and demonstrates a thinking brain, they deserve a run. One of Aaron and Yadav based on this series. Then of course Sreesanth. Irfan and Balaji did go to Aus in 2003 and ended up doing a fairly decent job. Even on the last tour, Pankaj Singh and Ishant went there as 'inexperienced bowlers'. I personally have given up on Sreesanth , unless he shows a dramatic improvement in terms of attitude and fitness, he is not able to even be effective in domestic cricket, very very inconsistent and then not looking at things trying to improve on his short comings he blames the selectors , like it will get him anywhere. He needs electric therapy, damini style. I have been great fan of thsi guys' bowling. He has God given talent, smooth run up and great seam position. But unfortunately he turned out to be Agarkar-2. I have given up on him. Seam is bolt upright when in full flow, brisk fast medium touching 140ks with swing is hard to play. If we are serious about being no1 again, we need this man. i hope he play in ozz. A team doesn't become no 1 by winning 1 match and losing 10 matches. Sreesanth has been given more than enough chances which he failed to grasp regularly.Its time we moved on and tried young new bowlers. Its great to see the selectors are thinking the same way.The likes of Ishant Yadav and Aaron are the future not Sree Santh who has disappointed time and again when given chance.Maybe he can be given another chance if he performs exceptionally wlell in Ranji trophy. But its time we moved on from Sree santh. Zaheer, Ishant, PK , Varun , Umesh, Gony, Sreesanth to me are the choices listed per pecking order , Umesh has to sort out his control issues, most balls going past leg stumps, stock ball, bowling to a plan, he only looks good when reversing, he is fastish but not express, with his height , he needs to work on his bowling.I HAVE LIKED ALOT WHAT i HAVE SEEN OF GONY, he had a g8 last year, ability to bowl to a plan, can bowl 135 to 140 k's, fantastic bounce, seems to have the stamina. Agarkar was leagues ahead of Sreesanth. As of now,I don't see much utility for PK on the Aussie tour...but well he made me eat humble pie once before during the Eng tour. Australia is not a place for your average medium pacer and show me one bowler with PK's pace who has had success there.Over the years Eng was smashed around in Aussie tours because of PK like bowlers Logically a fully fit and in-form Sreeshanth would be better than PK on Aussie tour but I guess PK has booked his spot based on recent performances. Zaheer' date=' Ishant, PK , Varun , Umesh, [b']Gony, Sreesanth to me are the choices listed per pecking order , Umesh has to sort out his control issues, most balls going past leg stumps, stock ball, bowling to a plan, he only looks good when reversing, he is fastish but not express, with his height , he needs to work on his bowling.I HAVE LIKED ALOT WHAT i HAVE SEEN OF GONY, he had a g8 last year, ability to bowl to a plan, can bowl 135 to 140 k's, fantastic bounce, seems to have the stamina. Any logic behind why you have been pushing for Gony's inclusion in the last few posts? Zak, PK, Ishant/Yadav/Aaron should be the bowling line up in Australia. PK though not quick can really trouble them with the swing. He had a g8 last year got alot of wickets at 19 avg, saw him bowl in round one of Ranji,he bowled with accuracy, control, fantastic bounce, pace, also experienced.Umesh ,Varun have potential , but guys like Tyagi, VRV, GONY IF THEY SHOW OOD FORM , WHY NOT. The Kerala team management were quick to allay the fears by saying that Sreesanth was in Bangalore to consult an eye specialist. Sources told TOI that a recurring toe injury may see him missing the match. The Kerala Express is going nowhere. Sree has serious issues with his mentality and it is one thing that cannot be taught. Added the details in my previous post. Its all false news,real truth is Sreesanth was caught promoting himself on a cricket forum using Dravid's name instead of practising on the field.Thats why Kerala's team management thought dropping him would be the best idea. Recurring toe injury? Thats new. So far he had shoulder problems. Just can't play a few matches back to back without getting injuries. He will come back stronger and fitter. Shame this happened at such a crucial time. Injury scare for Sreesanth Kerala, Nov 11, 2011: Ahead of the Services game at home, Kerala was pinning high hopes on S. Sreesanth, but it came as a blow for cricket lovers when the temperamental speedster pulled up an injury, a worry that has the implications of being career threatening. Sreesanth was seen limping around the ground as his replacement Manu Krishnan won his debut for the State. Sree pulled down the socks on his left foot and showed a swelling near to the big toe. “I have been carrying around the problem for the last three years, but it was only recently that the condition became worse. As the swelling is on my landing foot I think it is time I went for specialised medical attention,” said Sree. 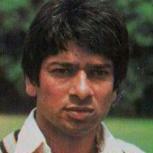 He is now awaiting permission from the BCCI before going for ayurveda treatment at Arya Vaidya Sala in Coimbatore. “I am not aware of the seriousness of the swelling, but can’t delay it any further because health is important. Only after consultation will I know the duration of recovering out of it,” he said. “It is definitely career threatening and I loved to play at home, but if I had gone into the game with this, I wouldn’t have completed even half the match,” he added. Sreesanth who was not selected for the West Indies series will also miss the much awaited Australian tour, but the Test cricketer is hopeful of swinging back into action once he recovers. Looks like the Sreesanth chapter in Indian cricket will come to an abrupt closure now. A story of what could have been if he had somehow changed his attitude slightly. Not to be. It's heartbreaking. The guy has so much talent. Still only 28 and we don't have any better test seamer apart from Zak so he should be back. So he hid his injury till now and when he is supposed to lead his Ranji team, he uses this injury to excuse himself from the action. I'll not be surprised that he'll suddenly make himslef available for the Aussie series.. It's over for him. I'm surprised that BCCI chose to award him a contract. He should've been out of contract long time back. Can't believe I supported him during the tour of RSA. I thought he has been "wronged" by the team management and the captain. Really disappointed at his commitment or lack of it.. He even told me he wasn't 100% during eng tour. Just watching him in nets day before test it was obvious he wasn't at best. I don't blame him for hiding injury, he knows the management and dhoni want to get rid of him so he has to try and stay in the team. No different to Dada running away from Nagpur test by faking injury due to board preparing a green one to ruin him. Not over yet, he will be back I am sure for one more chance. He would have bowled much better in eng tour if injury free as I said a few months ago. Ishant was injury free but just crap. I really dont agree with this term. Talents can be in mental as much as they can be to swing the ball or whatever. Some batsmen can focus just on the next delivery for hours on end with no distractions at all (Chanderpaul, Trott etc) in a way that other batsmen cant doesnt matter how hard they try. Likewise it takes lots of concentration to focus on a plan ball after ball for overs on end like Anil Kumble or recently Stuart Broad. Some have that kind of mental 'talent' in them and others dont.. with Sreesanth obviously falling in the latter category. He is 28. By the time he settles and start performing in domestic cricket he will be 30. Dhoni supported him in Eng tour, WC. He has always been overrated. He has never strung any long term domestic consistency. If he was such a 'talent', then he should have been able to take many more wickets for Kerala than he did! He deceived with balls which swing a long way but in terms of actual performance, he was always mediocre other than the odd spell.